Inuits are indigenous people living in Alaska, Canada and Greenland. Traditionally the Inuits lived by fishing and hunting. They developed different techniques to hunt animals fast and effective. And they did it good. Still many of these people lives by the old traditions, but there are also a lot of people uses more modern equipment like snow scooter and firearms. As the history tell us, the Inuits have made their own clothes, weapons and made sure that no one in the family was hungry. Very often they used bones from dead animals to build boats, sledges and houses. They used bones from different animals to build the important kayak. The kayaks have been important to the hunting of animals at sea. They also built bigger boats of hide and bones to transport people, dogs and equipment. Their language is a primitive language. Many of them also speak english. Do you know anything more about the inuits language? I didn't find much about it.. This is a map were the primitive language is spoken in America, Canada and Greenland. 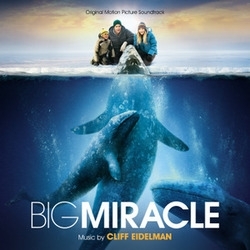 I have also seen a move called Big miracle. In this movie we meet three whales who lives under the ice in Alaska. The whales are blocked behind a big wall of ice and they can't get out. In the first place the indigenous people wanted to kill them to get food. But a woman from Green Peace wants to let them out to free water. The people from Alaska do not want to spend a lot of time and money to rescue the whales. The movie ends happily. One of the whales dies because it is sick, but the two others survives after useful help from the Soviet marine. In this movie we get to meet indigenous people from Alaska. I would say that this move give us quite a real picture of how it is to live in Alaska. In the movie we can see their sledges, their dogs, clothes and easy way to live. In another way we also see that they live quite modern in these days. They have snow scooter, weapons more contact with the world so i bet its easy for them to get the food, drinks and necessary equipment they need to live up there. I think it is exist two kind of inuits. The ones that live very traditional with minimalism modern equipments and also them who have been more modern and live like other people in the rest of the world, in just a way colder country. Let's hope experts from Alaska can help you with these two topics: language and if the movie gives a realistic picture of how it is to live in Alaska. 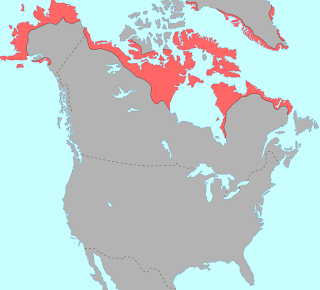 I like your map, give a good picture of where the Inuits live.